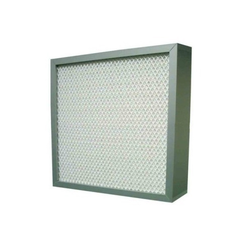 Manufacturer of a wide range of products which include mini pleat hepa filters and industrial pre filters. We offer Mini Pleat HEPA Filters which are recommended for our impeccable standards. These filters are specially designed to ensure filtration of particulate down to 0.3 microns from gas/air stream exceeding 99.99% efficiency. The frame is assembled with filter paper whose surface area is compact, which prevents leakage of unfiltered air. These filters are best suited for filtration applications for the medical, pharmaceutical, semiconductor, biotechnology and semiconductor industries. 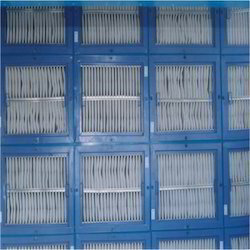 We offer a wide range Industrial Pre Filters which are manufactured with the latest technologies. These products are highly recommended for superior quality and performance reliability. Our industrial pre filters are widely use in various cinema halls, kitchen booth in automobile industries, industrial air conditioning and ventilation applications in offices, and chemical and pharmaceutical industries, where dust holding capacity and low resistance is a must. Looking for Clean Room Filters ?